I came across an interesting bug on a Wordpress development project I was working on this week. 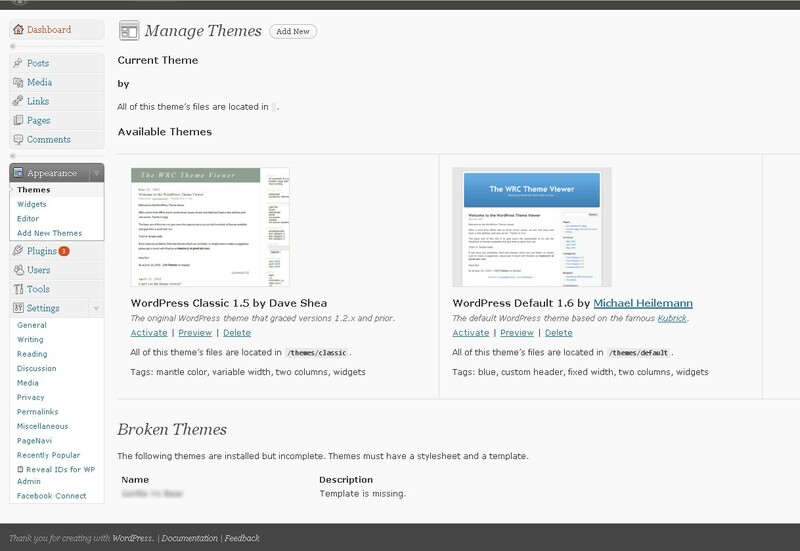 The issue was that the Wordpress Theme was reported as a Broken Theme because the "Template is missing" on the Appearances->Themes admin page. After poking about for a bit, I traced the problem to a rather innocuous looking line the designer had added to the theme's style.css file. I doubt this error comes up often, but it took a few minutes to track down the problem so I thought I'd post something here to hopefully save somebody time in the future.